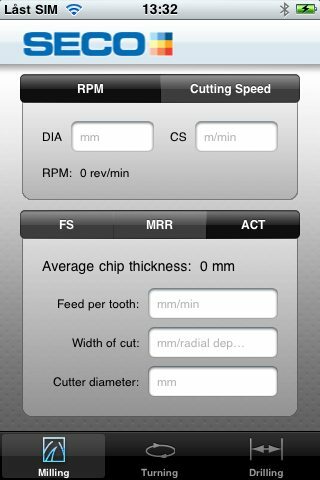 Seco Mobile Calculator / Seco Tools Assistant Mobile App is useful for cnc programmer, cnc machine setter, cnc machinist. This is a very simple mobile application. This mobile application is from Seco Tools.